Roads agency Sanral will now accept the e-tags used in Gauteng’s electronic tolling system at many of its toll plazas countrywide. The company said in an e-mail to clients on Friday that the tags can now be used on a wide range of toll roads, provided users have loaded sufficient funds. The system should make it faster for drivers to get through toll plazas. Signage at each toll plaza will indicate where drivers can use their e-tag instead of stopping and paying an attendant. Better to hand them back and get a refund. Or you will be charged double. Thanks. I’d rather pay in cash and wait in a queue than sign SANRAL’s illegal e-tag terms and conditions. When criminals and murdering tugs become the rule of the land the honest citizens are relabeled to be criminals. In a just society a criminal such as JZ would serve lifelong imprisonment, instead he is leading SA over a cliff. If we allow e-tolls to continue we are writing a blank check for the ANC thugs that will cost many millions their lifes. Just take a look at Mugabe and Zimbabwe. Do we really want to venture down the same road? 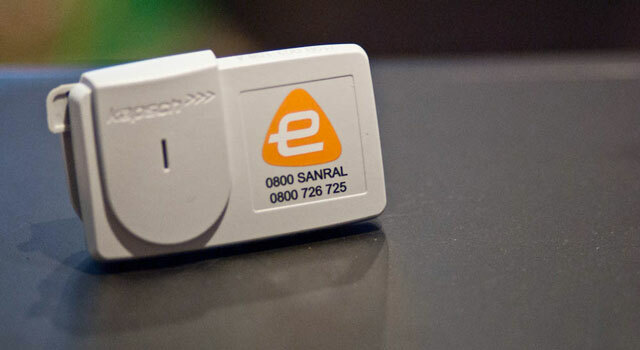 When I read the headline “E-tags now accepted nationally” I thought who are Sanral trying to kid now? I drove to the Natal North Coast last week and invariably just drove straight up to all the toll booths, handed in my credit card and was through in seconds. I realise that the holiday season is not in full swing yet but I’m sure that the queue at the E-tag lane will be just as backed up as the stop and pay lanes. This “perfect world’ scenario that Sanral describe where everyone is getting every where quicker than they were 5 years ago is a pipe dream. “The system should make it faster for drivers to get through toll plazas.” In this quote at least they have the decency to say “should”.